Wendy Diamond is an extremely impressive woman. As the founder of Women’s Entrepreneurship Day, this is no surprise. She has a long history of giving back. Ove the years, Wendy has rallied governors, mayors, royal families, and top CEO's to join the fight to alleviate poverty globally through micro-loans, scholarships, and building a community/ network for women. The annual summit and celebration is coming up in November and will be held at the United Nations with hosted panels, a luncheon, and awards! 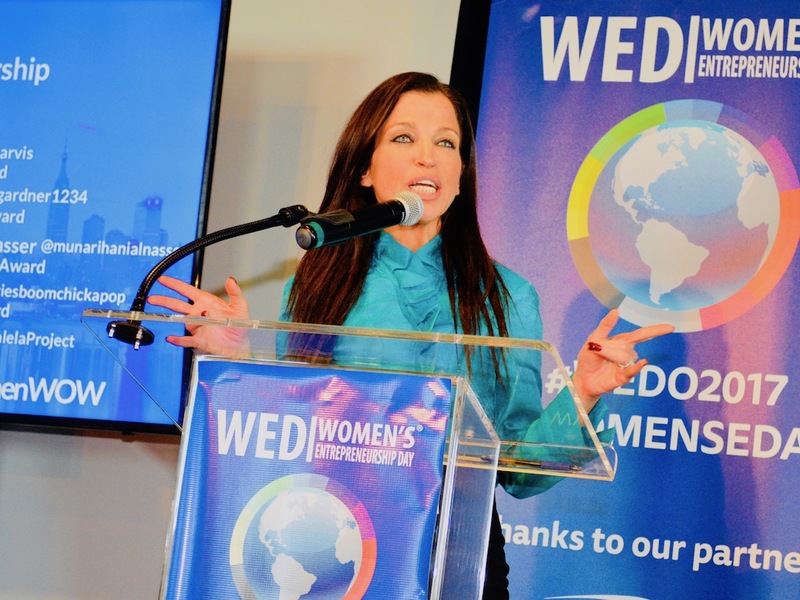 Wendy has rallied New York State’s Governor Andrew Cuomo, Los Angeles Mayor Eric Garcetti, Philadelphia Mayor Jim Kenney, and New York City’s Mayor Bill De Blasio to proclaim Women’s Entrepreneurship Day an official day on November 19th annually. The U.S. House of Representatives every year recognizes our movement on November 19th as “A Day in Honor of Women Entrepreneurs” under the leadership of Congresswoman Grace Meng who Wendy worked closely with. This year is particularly exciting as 100 disadvantaged student girls will be joining the celebration at the United Nations. This was enabled by Wendy partnering with an inspiring and impressive group of organizations from Girls Who Code, Black Girls Code, to Restart Academy. ReStart Academy provides educational services for 13–21 year old students in transitional settings, including juvenile justice, substance use treatment, mental/behavioral health treatment, hospitals, social services agencies, and other temporary or involuntary settings. Women’s Entrepreneurship Day make their dreams come true by giving these enthused young girls the exposure and opportunity to be inspired and network with successful women leaders, entrepreneurs, and business game changers! WEDO believes in the necessary knowledge of STEAM (Science, Technology, Engineering, Arts, and Mathematics) for success in the future tech industries. Under Wendy’s leadership, WED achievements this past year include, funding 500 Syrian refugee girls to attend high school in Jordan, a donation of 500 microloans to impoverished women to start their own businesses at the New York United Nations and an initiative to empower women and girls to use their vote against arranged marriage in Oman amongst many more. A truly inspiring day for all.